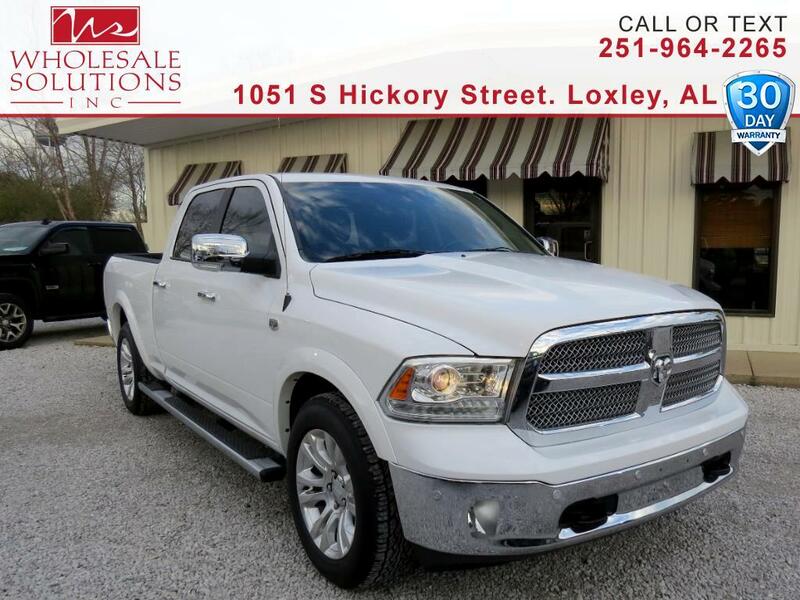 Used 2016 RAM 1500 Longhorn Crew Cab 2WD for Sale in Loxley AL 36551 Wholesale Solutions Inc.
New Price! ** Low Miles **, Navigation, *** Nice Truck ***, Sunroof, Spray-In Bed Liner, TRAILER PACKAGE, Sunroof/Moonroof, Tow Package, Trailer Package, 1500 Laramie Longhorn, HEMI 5.7L V8 Multi Displacement VVT, RWD, 20" x 9" Polished Aluminum Wheels, 3.92 Rear Axle Ratio, Anti-Spin Differential Rear Axle, Auto High Beam Headlamp Control, Convenience Group, Front Bucket Seats, Heated Second Row Seats, Keyless Enter-N-Go, Memory seat, Navigation System, Power Sunroof, Radio: Uconnect 8.4 NAV, Rain Sensitive Windshield Wipers, Remote Proximity Keyless Entry, Ventilated Front Seats, Wheel to Wheel Side Steps. Priced below KBB Fair Purchase Price!